5th March 2018: Success for a sprinter depends on the number of years of hard work, perseverance, dedication towards achieving the ultimate and eye for the gold medal. However, isn’t it amazing that their races are decided in less than a friction of a second? Usain Bolt’s era of being the fastest man is over. Here comes another successful young athlete, who is breaking records in the short sprint event. 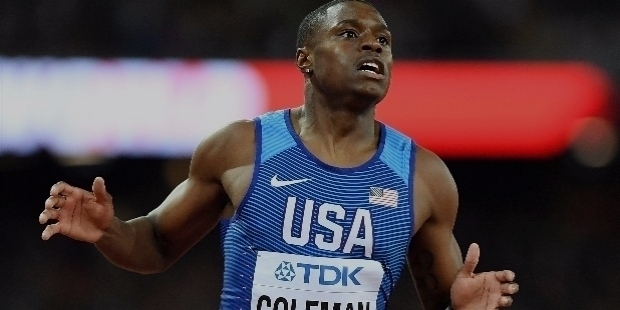 Meet Christian Coleman from the USA! Will he be able to break Usain Bolt’s 9.58sec in 100 metres? At the IAAF World Championship of Athletics in London 2017, while Gatlin defeated Usain Bolt for the title, the young American Christian Coleman was noticed to grab the Silver Medal ahead of the fastest man on the earth. 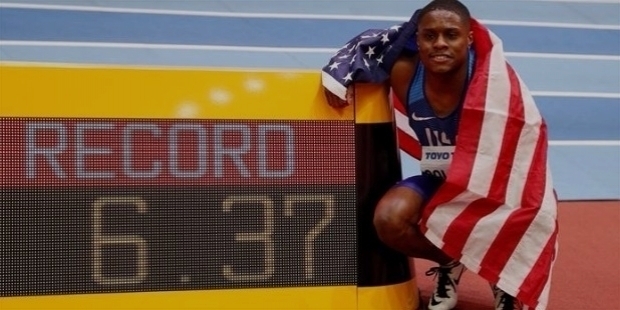 Having broken the 20-year-old 60m indoor world record, Christian Coleman clocked 6.34sec at the US Indoor Championships in New Mexico. The previous record of 6.39sec was held by fellow American Maurice Greene, who had set it twice in 1998 and 2001. On the 3rd of March 2018, he has shown that he is the fastest man by winning the 60 metres indoor race in 6.37sec at the World Indoor Championship in London, UK. Coleman’s electrifying start powered him through the line in a championship record of 6.37sec. Su Bingtian of China took the Silver while lowering the Asian record to 6.42sec. Ronnie Baker, US teammate claimed bronze. Coleman has run three of the quickest times ever at the 60 metres short distance. He stated after winning the 60m dash, “I have a good chance to lead the sport in the post-Bolt era, but like I have told so many times, loads of guys have the talent.” In his junior season at Tennessee in 2017, Christian Coleman had a great season by a collegiate sprinter. He tied the 60m indoors record in 6.45sec, missed the 200m record by juts 0.1sec. He went onto break the 100m outdoors record in 9.82sec and once again missed the 200m record by 0.6sec. Christian Coleman was born on the 6th of March 1996. Both his parents, Daphne and Seth work in schools. Coleman completed his High School from Our Lady of Mercy Catholic High School in Fayetteville, Georgia. He was the champion sprinter at Tennessee. He was the 60m champion. He was runner up in 200m at the 2016 SEC Indoor Track and Field Championship. His thirst to win led him win the 200m at the National Track and Field Indoor Championship, while he finished 3rd in the 60m dash. At the NCAA Division Outdoor Track and Field, he failed to get the first place in 100m and 200m races. In 2016, he made it to the US Olympic Team. It was the big achievement for the 20-year-old sprinter. 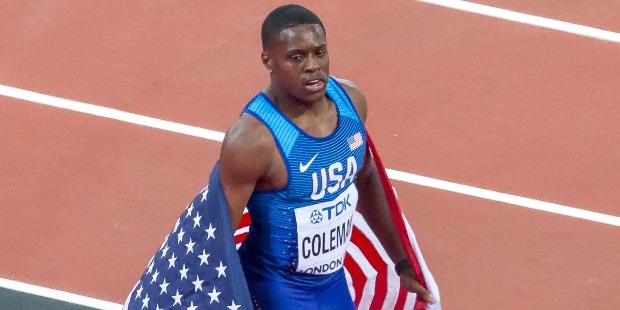 Having made it in the big league, Christian Coleman won Gold Medals in 60m and 200m events at the 2017 Indoor National Track and Field Championship with record time. He tied the Collegiate Record in 60m timing 6.45sec. In 200m, he ran the race in 20.11sec, just 0.01sec off the Collegiate Record, which was previously held by Wallace Spearmon. At the 2017 NCAA Division Outdoor Track and Field Championship, he won the 100m in 10.04sec and the 200m in 20.25sec to finish his collegiate career. He joined the august state of joining the former Tennessee sprinter Justin Gatlin. They became the only person to win the 60m and 200m indoor titles and the 100m and 200m outdoor titles from Tennessee. Coleman became known to run the 40m dash in 4.12sec, which was faster than John Ross’s 4.22sec. John Ross had claimed that he was faster than Usain Bolt. Coleman proved him wrong. His big success came in 2016, when he qualified at the Olympic Trials for 100m and 200m. He came in the sixth place and qualified for the 4x100m relay team. 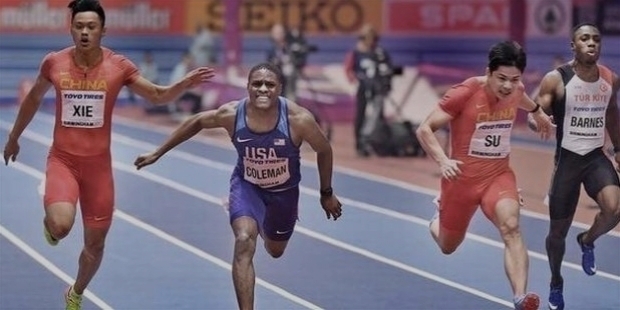 At the Olympics, Coleman ran the second leg for the US Team and qualified the heat with a time of 37,65sec. Destiny eluded him success. 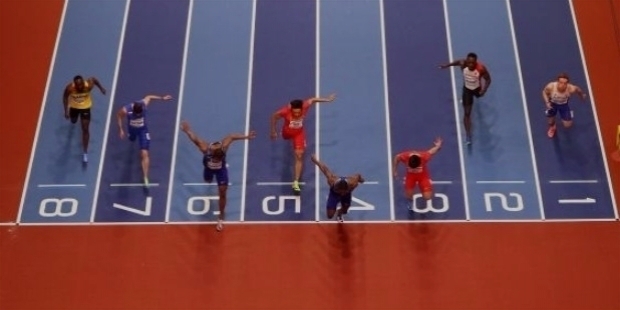 In the finals, Coleman was replaced with another sprinter. Team USA was disqualified in the finals. Failure often leads towards success. At the 2017 IAAF World Championship, ran the race of his lifetime with legendary Usain Bolt on one side and Justin Gatlin on the other. Gatlin won the Gold, Coleman the Silver and Bolt the Bronze. This race will always hold a very special place in Christian Coleman’s life, because he defeated none other than the World’s fastest man Usain Bolt. The year 2018 surely seems to be Coleman’s year to achieve greater status in the world of athletics. At the US Indoor Championships in Albuquerque, New Mexico – Christian Coleman broke Maurice Greene’s 20-year-old record in 60m final, running the sprint in 6.34sec on the 18th February 2018. The previous record was 6.39sec for the 60m dash. At the 2018 indoor season, Christian Coleman won the gold in a world record time of 6.37sec in the 60m dash at the Clemson Invitational in South Carolina. Coleman is humble by nature and gives due credit to the greatness of Usain Bolt or inspiration of Justin Gatlin, who have achieved amazing feats in the short sprints. At present, he set his eyes on the 2020 Tokyo Olympic Games. Coach Tim Hall is grooming his successful obedient student towards achieving big results in the next World Athletics Championship to be held in Doha in 2019. Success follows for those, who dare to work towards achieving the unexpected. Coleman is one such name to watch for!